"Marley & Me" star Jennifer Aniston enjoyed Christmas Eve dinner with the Cox Arquette family at the upscale Mastro's Steakhouse in Beverly Hills. Aniston continued the holiday tradition with David, Courteney and daughter Coco while BF John Mayer stayed on the East coast. 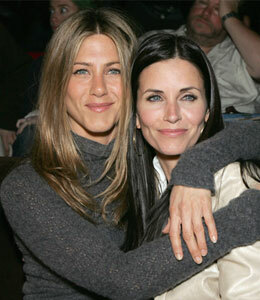 A source tells People magazine, "Jen and Courteney chatted non-stop. Jen was also very sweet to Coco and the two giggled together." The classy establishment played Frank Sinatra tunes and the dinner table was decorated with candles.